$499 DOWN Guaranteed Approval!!! Perfect for the on-the-go family, this Ford Escape SE is an SUV everyone will love. With exceptional mileage, options and power, you'll insist on driving it on all your outings. If you are looking for a vehicle with great styling, options and incredible fuel economy, look no further than this quality automobile. Clean interior? How about flawless. This Ford Escape looks like has never been used. More information about the 2016 Ford Escape: The 2016 Ford Escape is a sleek, rakish, modern design, yet it is surprisingly roomy inside. Also surprising is how well the Escape responds and handles -- as if it were a sport wagon. The Escape's powertrains are standouts in this class, both offering more power than you get elsewhere, plus excellent fuel economy. In terms of tech features, between the new "Sync 3" infotainment system, an active park assist system and active-safety features like BLIS, the Escape stands far apart from more plainly presented crossover wagons. 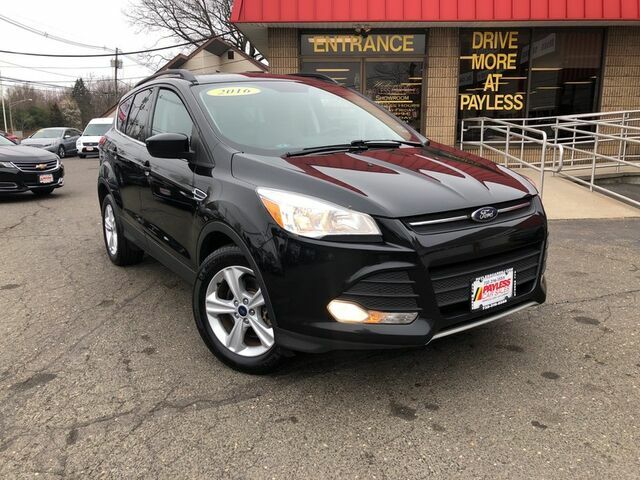 This model sets itself apart with spacious interior, Stronger performance and better handling than other small affordable crossovers, excellent fuel economy, impressive maneuverability, and excellent new "Sync 3" infotainment and connectivity Call now (732) 316-5555 This one won't last! Whether you have good credit, bad credit, no credit or even in a bankruptcy or repossession we can help. Our goal is 100% guaranteed approval!! Call us at 732-316-5555 or come on in to our South Amboy, New Jersey showroom and one of our credit specialists will help you get the vehicle you deserve at a payment you can afford. The advertised price does not include sales tax, title, DMV fees, finance charges, prep fee and documentation charge of $389. All financing subject to lender approval, rates and terms may vary. Any payments listed are an example and not an offer or guarantee or terms and are subject to lender assessment of credit,down payment and term. Prices subject to change at any time. While every reasonable effort is made to ensure the accuracy of this information, we are not responsible for any errors or omissions contained on these pages. Please verify any information in question with your sales representative.